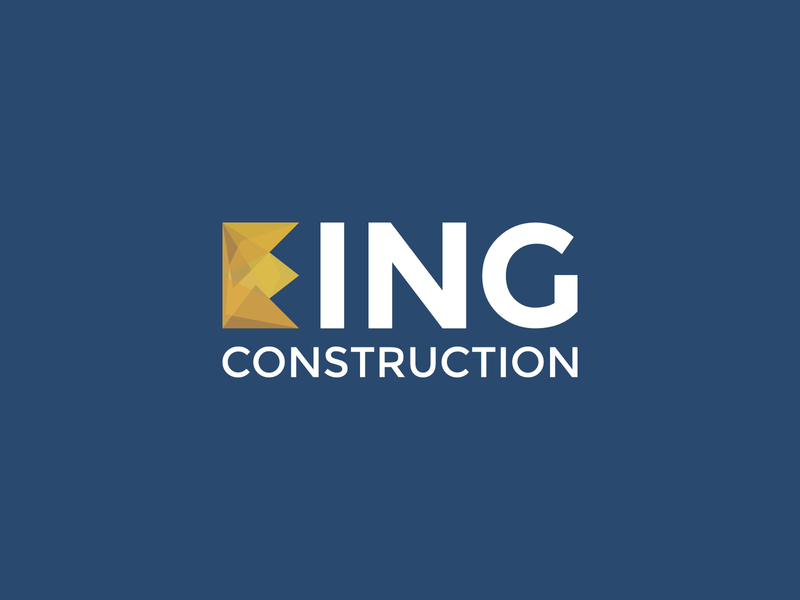 King Construction logo identity and design branding. The “K” crown element is broken into pieces with different gradients of gold, with transparency to assist with the effect. The basic crown principle is flexible enough for any industry, with the only requirement being the name beginning with the same letter, or having the letter in the name. It could also be modified to work with “M” or “W” names. This logo is available for sale, please contact me for pricing and license details.